Discussion in '3DS - Flashcards & Custom Firmwares' started by Keylogger, Apr 29, 2013. 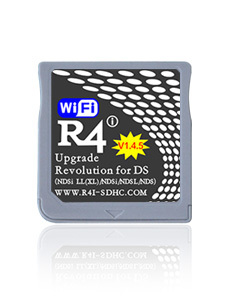 Is the R4i-SDHC v1.4.5 (for DSi 1.4.5) (this one: http://www.r4i-sdhc.com/newimg/B2_t.jpg ) work on 3DS 4.5.0 firmware? Can't find any info on it. Why not just stick it in and try? If it doesn't work, the 3DS will just refuse to run it.